designsbyambershaw: New Collab...."He's the Man"
Father's Day is about saying "Thank You" to our fathers and grandfathers and husbands. 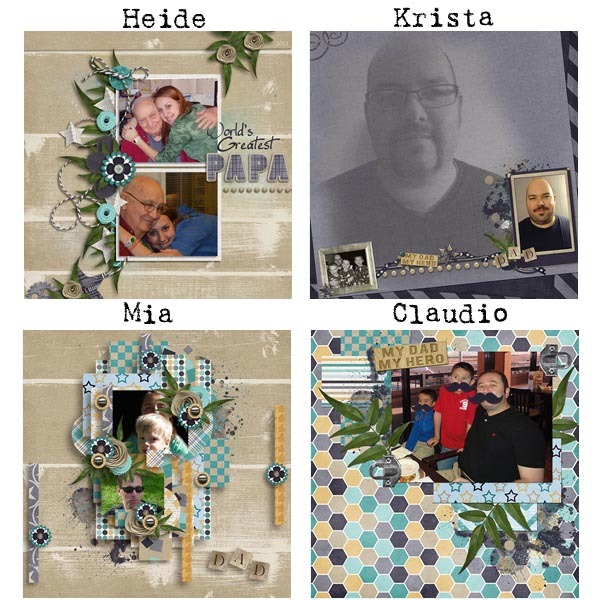 Amber teamed up this week with Juno Designs to create a huge kit perfect for cards and presents for all the dads you know and love. Take a look. And if you didn't see this in the newsletter, this week Amber has an older kit with all it's gorgeous pieces on sale for 50% off. 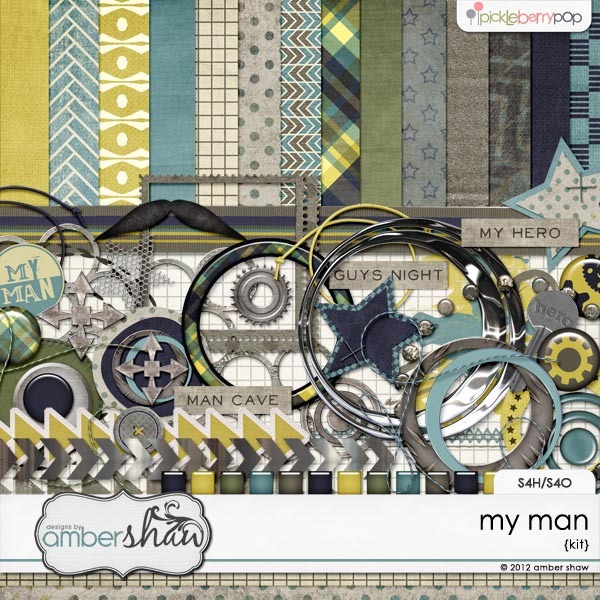 Click on the kit preview to shop this older father's day kit called "My Man". And check out the alpha, page starters and clusters that you can add on. They are on sale, too! Lastly, as our gift to you, enjoy a free quickpage made with the beautiful collab kit. Comment for a GRAND chance to win!! Sneak Peek - Comment to Win!! !